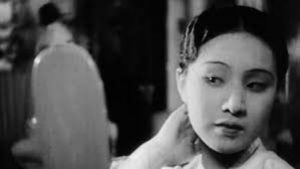 It was once assumed that all pre-1945 Korean cinema had vanished from existence, but in the 2000s a series of remarkable archival discoveries revealed a diverse treasure trove of melodramas, propaganda films and newsreels from the colonial period. We’re delighted to present them for the first time in the UK, thanks to the restoration work of the Korean Film Archive. Here you can learn about the stars, directors and politics of this complex and controversial period in Korean history – a time when the nation was under Japanese occupation. However, rejecting these products as nothing more than colonial propaganda refuses to acknowledge the skills, desires and ambitions of the Korean filmmakers behind them. These are unique creations that, despite their background, are the very origins of contemporary Korean cinema. Most of this season is at BFI Southbank. Further films from this period can be seen at Korean Cultural Centre UK. This season is co-curated with Hyun Jin Cho, Korean Cultural Centre UK. In association with the University of Sheffield.